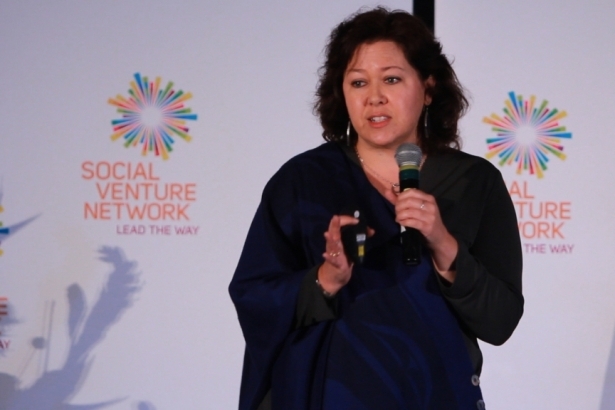 Donna Morton, Ashoka Fellow and CEO of First Power, speaks at Social Venture Network about her vision for SunDrum. I interviewed Donna Morton – a BC-based social entrepreneur, Ashoka Fellow, and chief executive of First Power (a Certified B Corporation and clean energy company that puts ownership and skills in the hands of communities) -- to talk with her about her new project: SunDrum. SunDrum is an alternative education program that teaches inner city, at-risk, and on-reserve youth about social entrepreneurship through art, culture, and games. Through the program, marginalized youth are empowered to solve community problems using the tools of business and creativity. Some wouldn’t imagine this to be the dominant trait of a successful business person, but Morton is actually in good company. Steve Jobs was famous for standing at the intersection of technology and the arts. “It’s technology married with liberal arts…that makes our heart sing,” Jobs said. That is, Morton and First Power have made ‘hearts sing’, as Steve Jobs put it. First Power marries clean, renewable energy technology with art. Above: First Nations art is engraved onto solar panels that now tell a cultural story for generations to come. Just as First Power combines art and technology, Morton conceived of SunDrum as a program that combines art and education. And this program, with its focus on teaching social entrepreneurship through art and games, is coming into being at the perfect time. Modern research is showing us that the conventional way in which we educate our children is severely flawed and outdated. And this is precisely the time when creativity, above all else, is needed to solve the pressing global problems facing the world today. The world needs people with the ability to do something new, fail, learn from it, and try again. 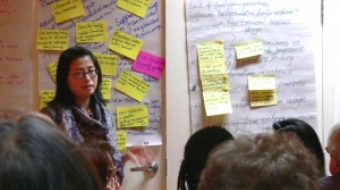 The world needs social innovators – social entrepreneurs. This is exactly SunDrum’s aim: to produce a community of creative doers prepared to learn from failure, instead of a group of disinterested, uncreative test-takers who have been taught to fear failure. Morton, being an entrepreneur, knows a thing or two about failure.